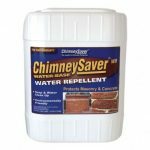 ChimneySaver, is a waterproofing product developed specifically for chimneys, has been used successfully by leading chimney professionals for nearly 20 years. It reduces water penetration into the masonry by 99.9%, according to ASTM tests conducted at the University of Wyoming. 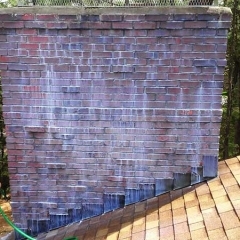 It’s also 100% vapor permeable, which means it won’t trap water vapors that may pass through the bricks when the chimney is in use, unlike other products found in most hardware or home improvement stores. 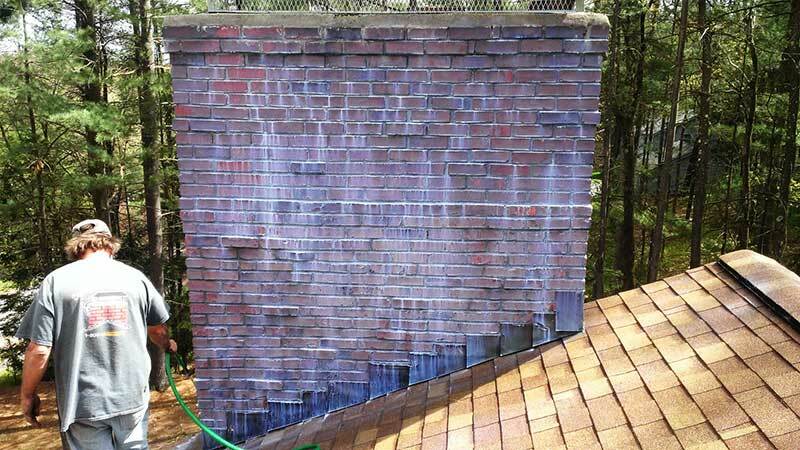 Beware of these cheaper product and sealers that actually seal water into the chimney and can actually cause and accelerate water damage . 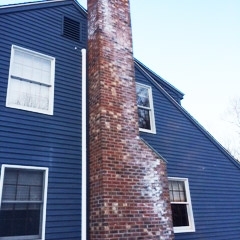 Chimneys are built with common masonry products that are very porous and absorb a lot of water which can cause damage over time. It is a long , slow process , but over time it can do serious damage to the exterior and the unseen interior. 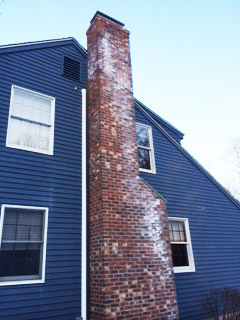 Waterproofing is a cost effective preventative maintenance measure to extend the life of the chimney system. 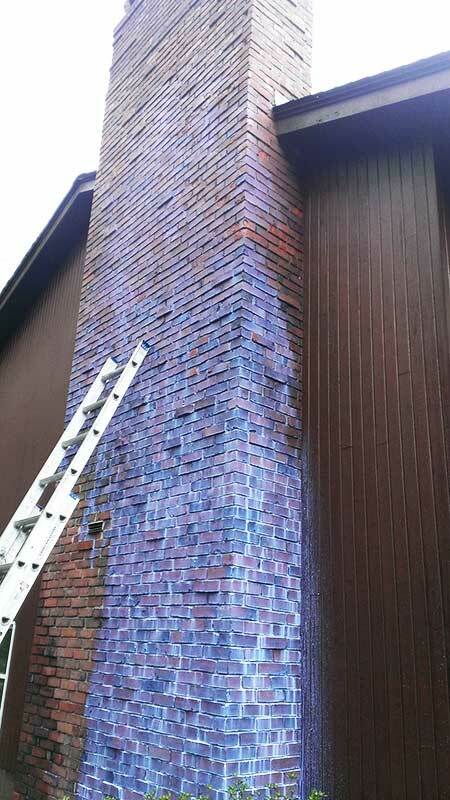 Efflorescence – exterior staining of the chimney , often white due to salts leaching out of the brick and mortar. 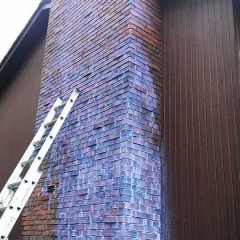 Spalled bricks – When bricks actually pop off faces and corners due to excessive water retention during the freeze/thaw cycles new England is famous for.